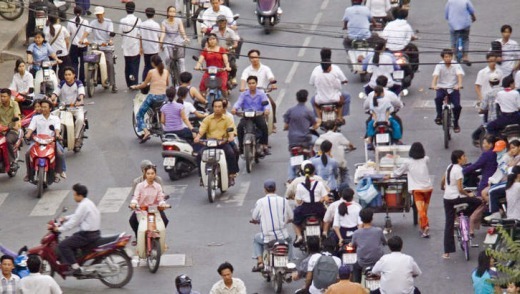 A visit to Ho Chi Minh City is an encounter with exotic food, French colonial architecture and memories of war, writes Guy Wilkinson. Manicure and pedicure shops are everywhere, particularly around the Pham Ngu Lao area, and most are open late into the night. Happily, some will even serve you a glass of wine or offer a massage, and a basic treatment will probably cost you less than half what it would back home (expect to pay about $6 for a set). Though it’s true the Saigon River has serious pollution issues, a Bonsai dinner cruise is still a unique experience. Watch the city lights at sunset while sipping a Tom Collins from the deck of a traditional 19th-century dragon boat, take in a show and enjoy a buffet meal in style. Try to pre-book and stretch your dollar for a more boutique cruise if funds permit. bonsaicruise.com.vn. Since its introduction to Vietnam by French colonists in the 19th century, coffee has become a national obsession that rivals our own. Thanks to the intense humidity, iced coffee, known locally as “ca phe sua da”, is generally favoured, and is brewed with a dark roast over a single metal french drip filter called “ca phe phin”. Served with sweet condensed milk poured over ice, it’s the perfect kick-start. Head to the Tan Tao Park to enjoy an early-morning brew with the locals or order a cup from any street vendor. After sampling so much great food, chances are you’ll want to replicate it. While many of the major hotels offer generic cooking lessons, a smaller-size class is a far better option. The best classes will team you with a chef to source ingredients at a nearby market before you learn to cook classic dishes such as summer rice rolls, rice noodle soups and many more. Most provide a take-home recipe pack so you can dazzle your mates back home. See saigoncookingclass.com for private, full-day and half-day classes. Often dubbed the “rice bowl” of Vietnam, this 39,000-square-kilometre labyrinth of waterways remains one of the most densely populated parts of the country. About four hours’ drive from the city, it’s another world, where markets, villages and schools float on sprawling, life-sustaining estuaries. It’s easiest to experience the delta on a tour, with most ranging from between one and five days. Spend a few days here if time permits; you can even make your way over to Cambodia by river, rather than by plane or bus. sinhbalo.com, mekongdeltatravel.com. You don’t know the true meaning of claustrophobia until you’ve visited this vast network of interconnecting underground tunnels, 30 kilometres from Ho Chi Minh City. Used as operational headquarters by Vietcong guerillas during the Tet Offensive of 1968, they were instrumental in numerous military campaigns during the war and played a decisive role in defeating American forces. A guided tour allows you to explore the tunnels firsthand or even fire an AK-47 should you wish to emulate Chuck Norris for a day. cuchitunnel.org.vn. While the World Heritage-listed riverside town of Hoi An, about 865 kilometres north of HCMC, remains Vietnam’s top spot for quality tailoring, HCMC is another safe bet. For best results, go prepared, take magazine cutouts and bring clothing you want to replicate. Have a set budget in mind, too; it’s easy to get talked into an entire new wardrobe. Allow a few days for the necessary adjustments. For high-end tailoring, try Mi Silk, 181 Dong Khoi, District 1. Markets aside, there are plenty of options for high-end shopping. 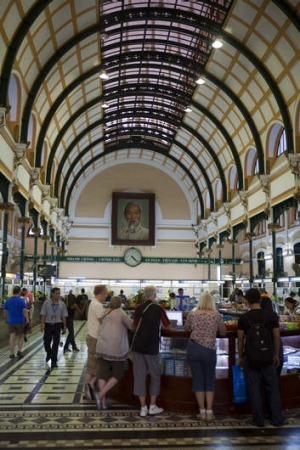 The major department stores are found at the central business district’s Diamond Plaza or Saigon Centre — though prices won’t differ much from home — while locals tend to favour Trai Street, straddling districts 1 and 5 for cheaper goods. Le Cong Kieu is famous for antiques, and the relatively new Vincom Centre opposite the Hotel Continental is a good bet for pricier, high-quality and boutique wares, while fashionistas will love Nguyen Hue Street.